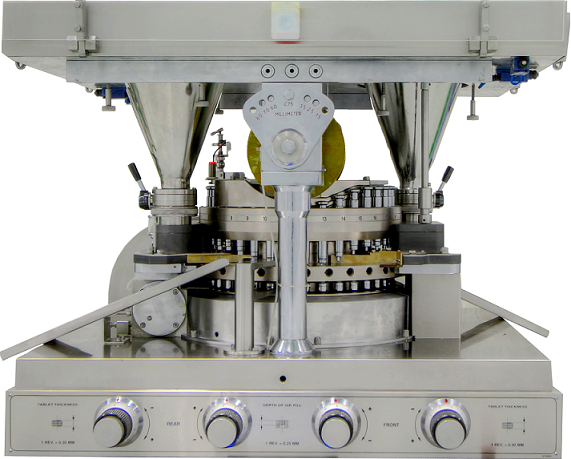 Front control double rotary tablet press capable of churning out maximum 2,59,200 tablets/hour with BB tooling. The robust construction of the machine ensures smooth running even at high speed. The machine is covered with SS guards at bottom and acrylic guards at the top. 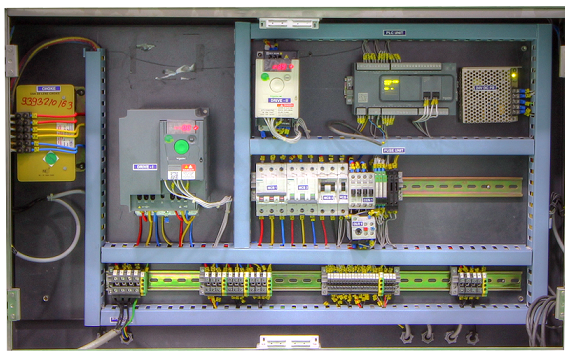 The precise speed control is possible by AC inverter drive instead of conventional variable speed pulley. 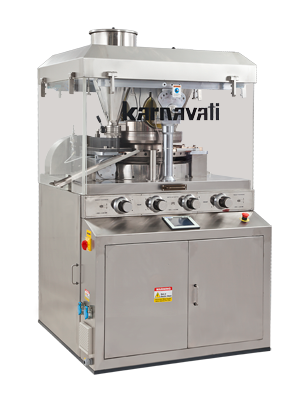 The machine is equipped with auto lubrication with timer & metering cartridges. It is equipped with all normal safety precautions to make it an operator friendly machine. Front Control – Tablet Parameters viz. Tablet Thickness, Depth of Fill etc.